Cluskey, Michael W., ed. Speeches, Messages and Other Writings of the Hon. 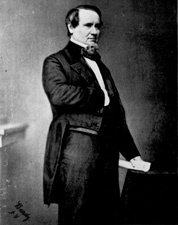 Albert G. Brown, a Senator in Congress from the State of Mississippi. Philadelphia: J.B. Smith Co., 1859. Halsell, Willie D., ed. Politics in an April Snow Storm. Journal of Mississippi History 31 (November 1969): 348-51. Holder, Ray. The Brown-Winans Canvass for Congress, 1849. Journal of Mississippi History 40 (November 1978): 353-73. McCutchen, Samuel Proctor. The Political Career of Albert Gallatin Brown. Ph.D. dissertation, University of Chicago, 1930. Ranck, James Byrne. Albert Gallatin Brown: Radical Southern Nationalist. 1937. Reprint. Philadelphia: Porcupine Press, 1974.